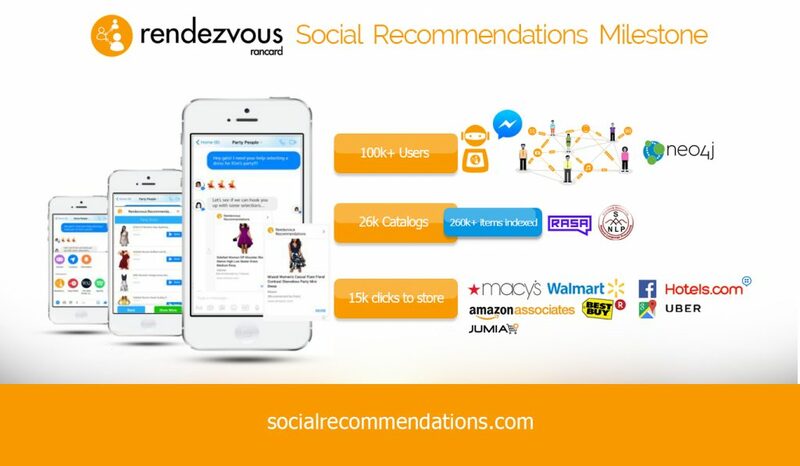 Rendezvous social recommendations milestone… engaged by over 100k real people in 6 continents! Users in Facebook Messenger have found a new way to get their friends opinions on literally anything – retail, places and services. 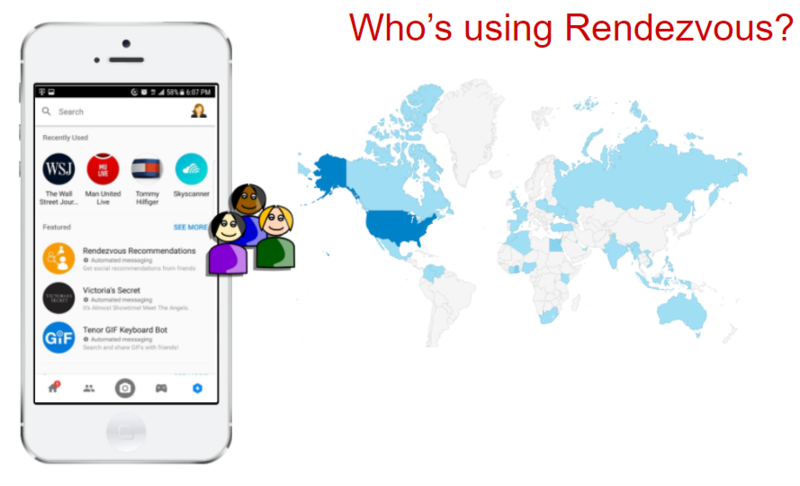 People from across 6 continents and in many countries, prominently US, Egypt, Canada, Philippines, Australia. 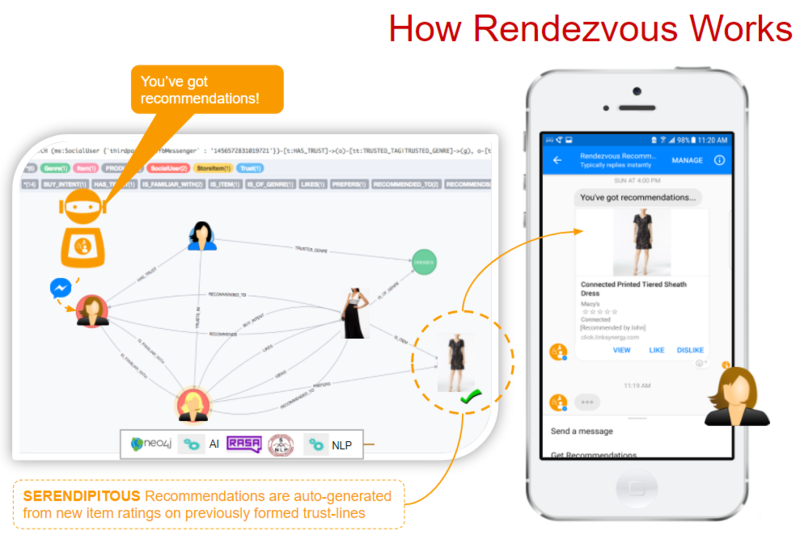 Rendezvous is unusual but most natural as a recommendation engine because it’s all about getting you results based on whose opinion you trust in a specific genre. 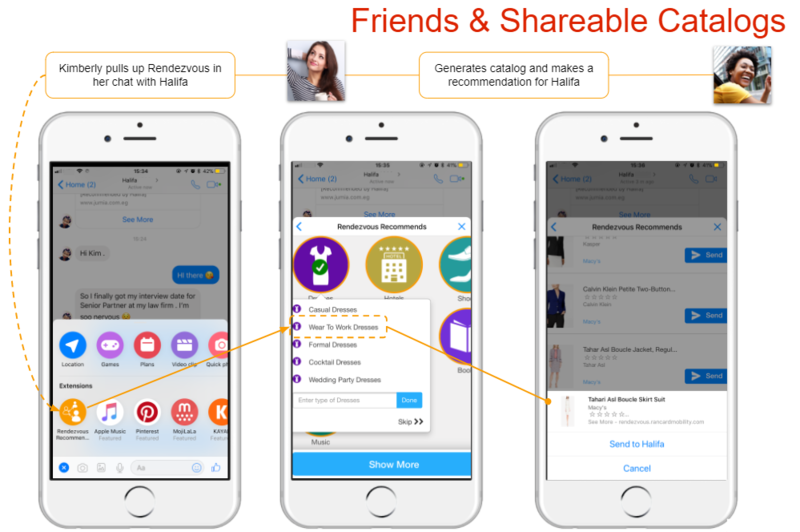 Users can share catalogs to get their friends opinions in Messenger and eventually across other channels including WhatsApp, iMessage, WeChat, etc. 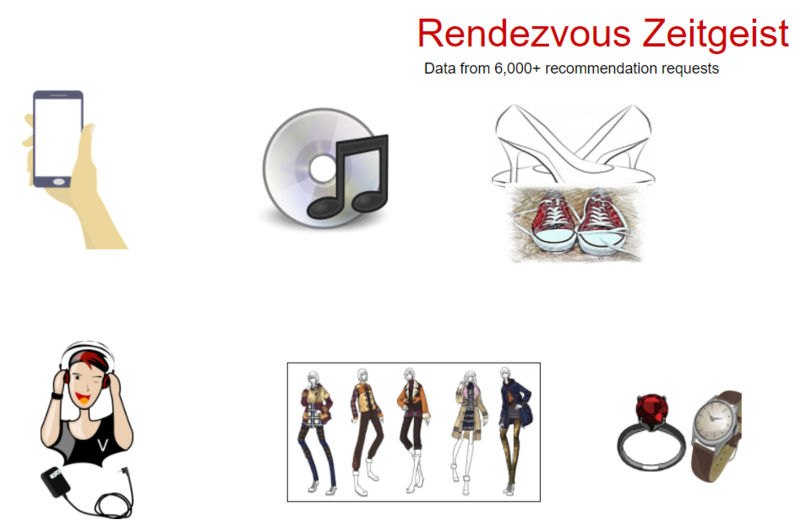 What are folks asking their friends for recommendations on?